This past week I installed a large commission project I've been working on for months. 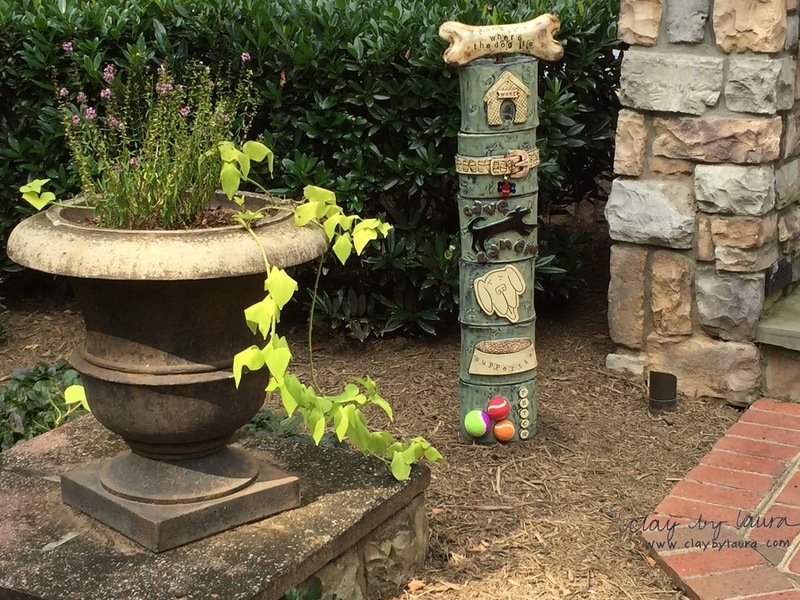 It included several totem stacks with specific themes, toad houses and custom herb containers for an existing plant stand. Not all artists are fond of commission art. I happen to like the challenge of creating a new, one-of-a-kind piece and have learned through experience that continual communication usually makes the outcome a success. I want to make sure my adaptation of the client’s vision will meet and hopefully exceed their expectation. 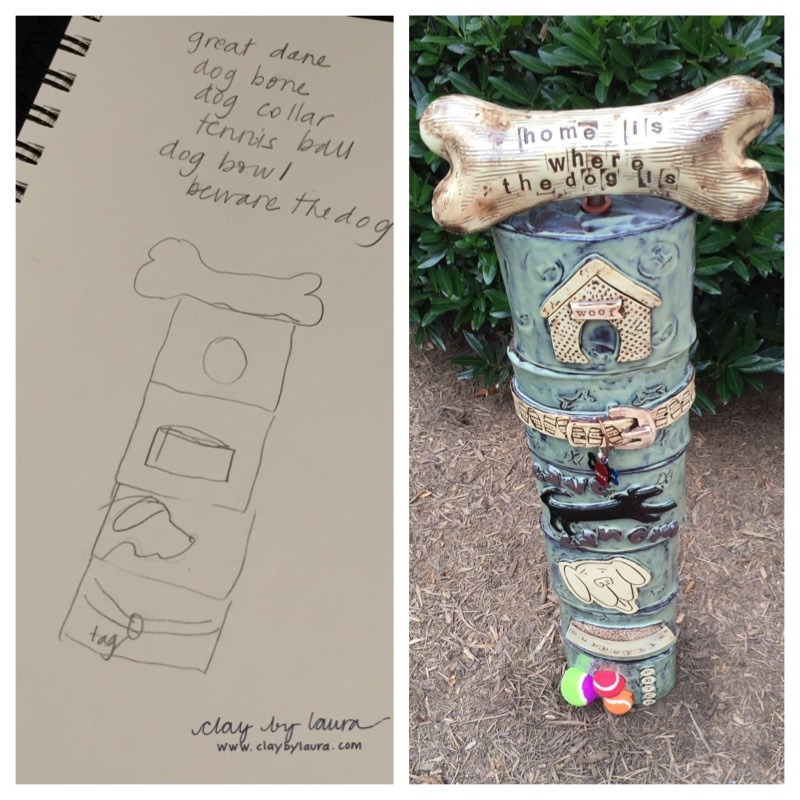 I met this customer many years ago in a dog training class, so this 'pooch' inspired totem was especially meaningful to create. My inspiration started with several ideas the customer suggested resulting in a final collaboration that brought us both to tears. Usually, when I’m asked to make a special order, the person is familiar with my creations and style of clay art. I like to send photos of previous pieces I’ve made along with color choices to help reinforce the words I use to describe new visions. Sometimes I’ll prepare a rough sketch to show my interpretation. Ultimately, it’s a matter of trust. The purchaser must believe I can create a ClayByLaura item to their satisfaction and I must rely on my clay experience to produce a piece that meets their approval. I've found good communication and frequent status report updates helps smooth this process. 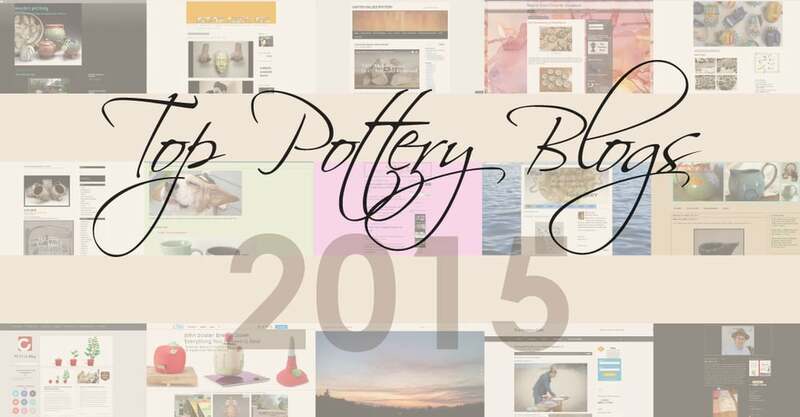 It's up to me to relay the nuances of clay and my ability to manipulate it into a final product. When I am successful at this, the results are usually good. 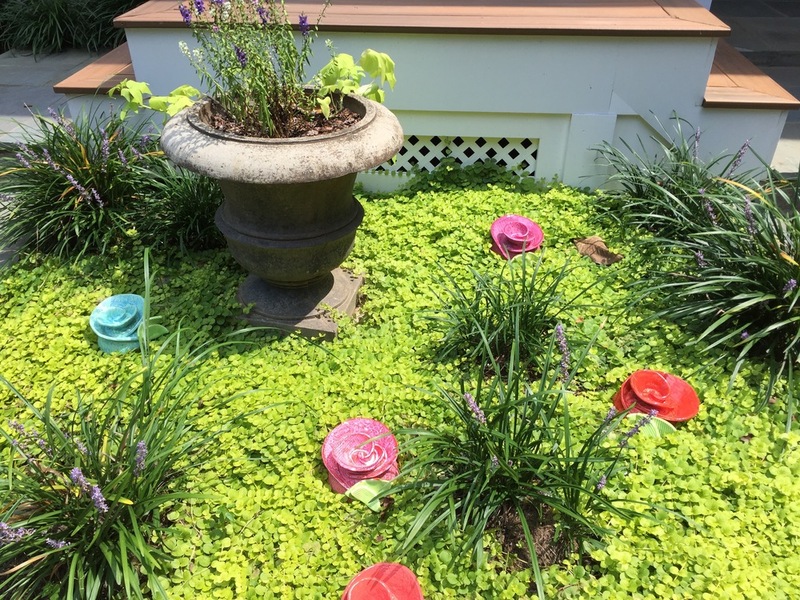 These toad houses bring a pop of color to this beautiful garden area! My feelings range from panic to euphoria when I finally share my creation with the new owner. By the time the design is set in clay, I’ve spent abundant time thinking about, planning and executing the project. And when the stars align, and the piece is welcomed with joy, well, there‘s no better ego boost! I was given immense creative freedom and good initial guidance to create this outdoor clay project. I think that's one of the reasons it turned out so well. The customer trusted I would interpret their ideas with my artistic sense and create objects to satisfy their desire. This symbiosis is special and when it happens, it's magic! Here are more detailed photos of this commission project. The dog tags add a personalized touch to the dog collar! The address numbers are easily recognizable on this totem stack. Each flower creation represents something meaningful to the owners.